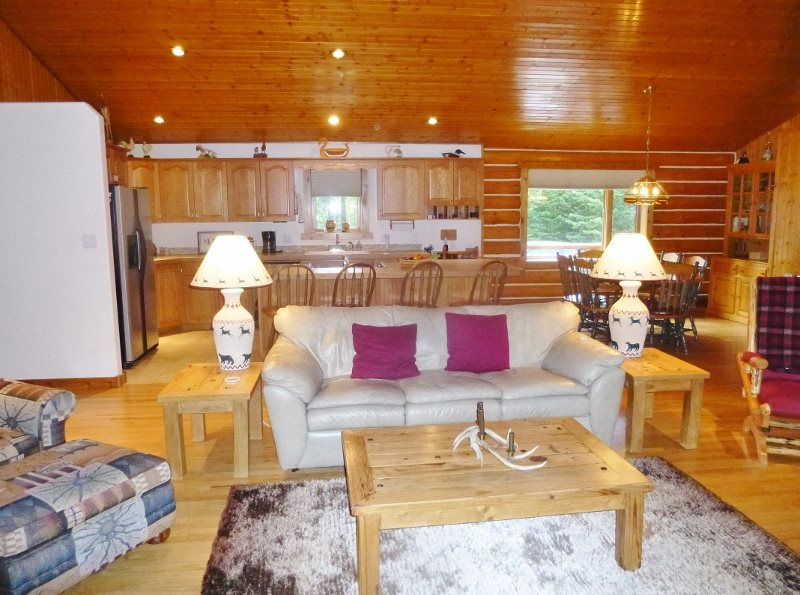 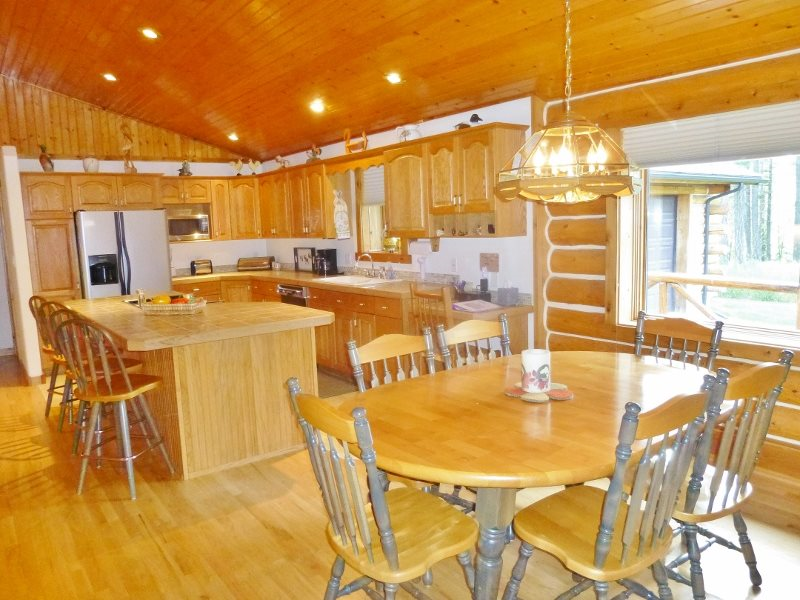 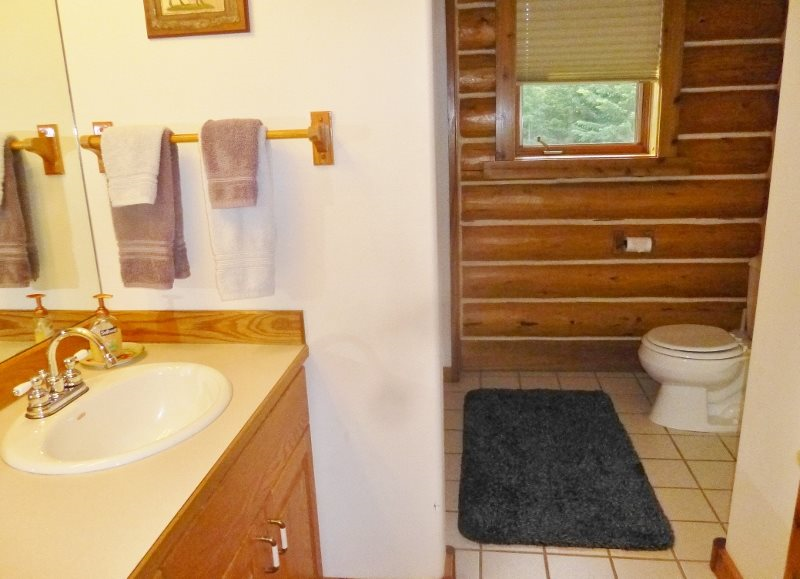 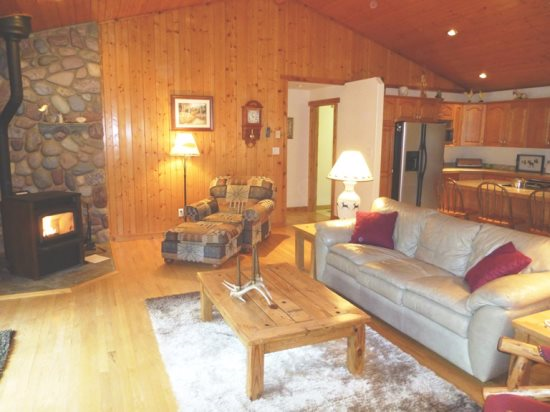 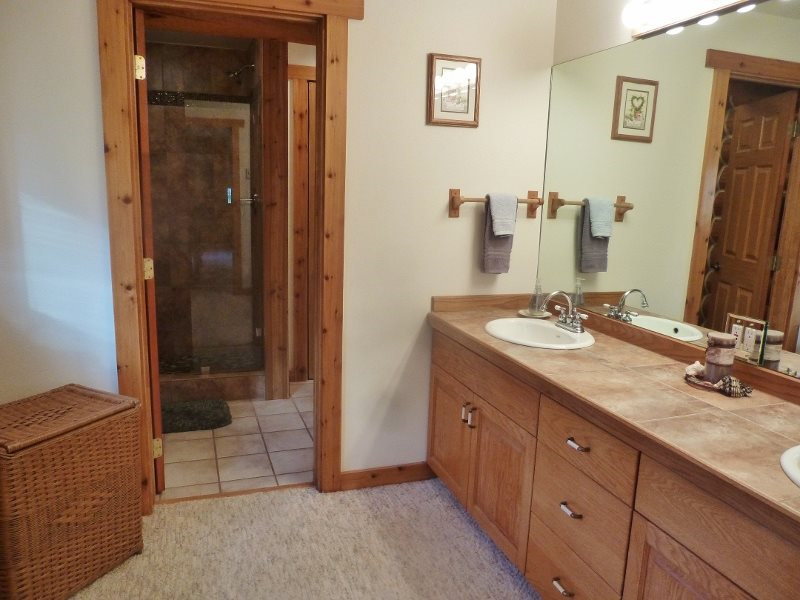 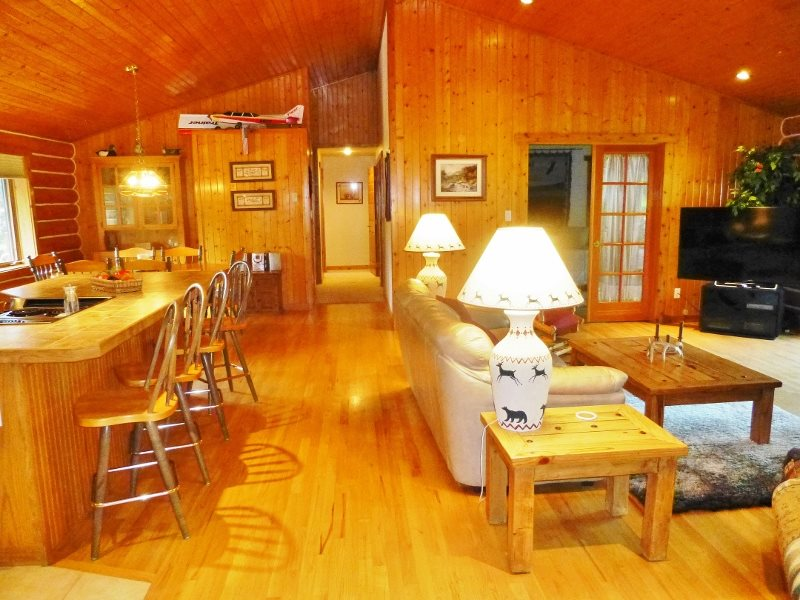 Experience the beautiful Flathead Valley in this delightful 2900 square foot log home. 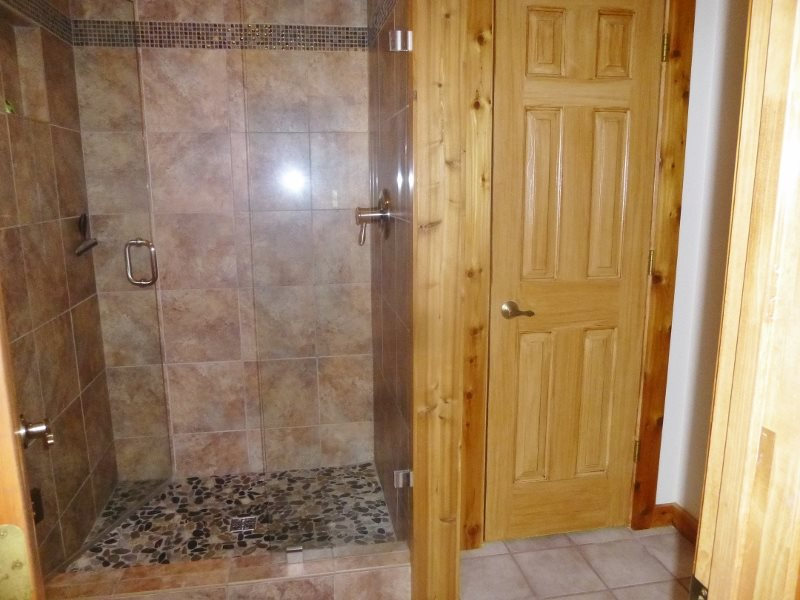 It is as its name indicates, a Jewel. 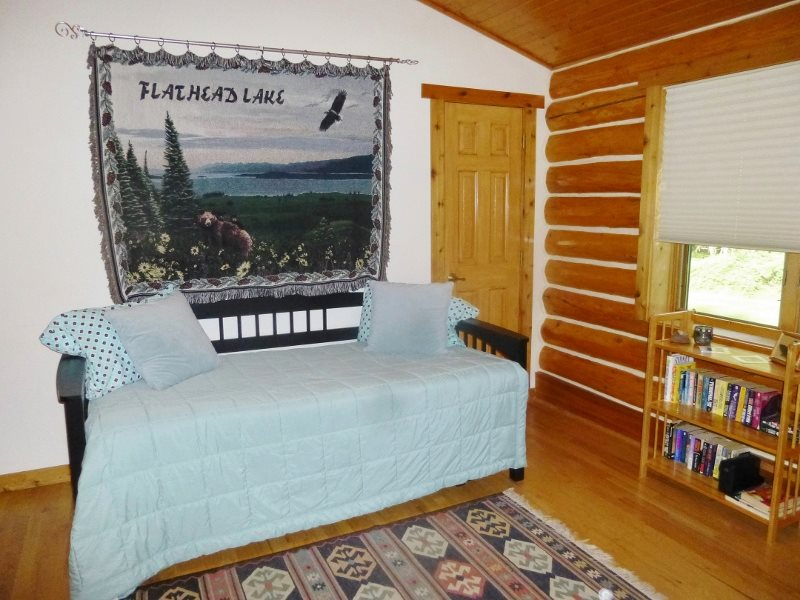 Situated midway between Whitefish and Kalispell you have easy access to downtown Whitefish, Glacier National Park, several lakes, golfing, convenient shopping, fine dining, and tons of adventure. 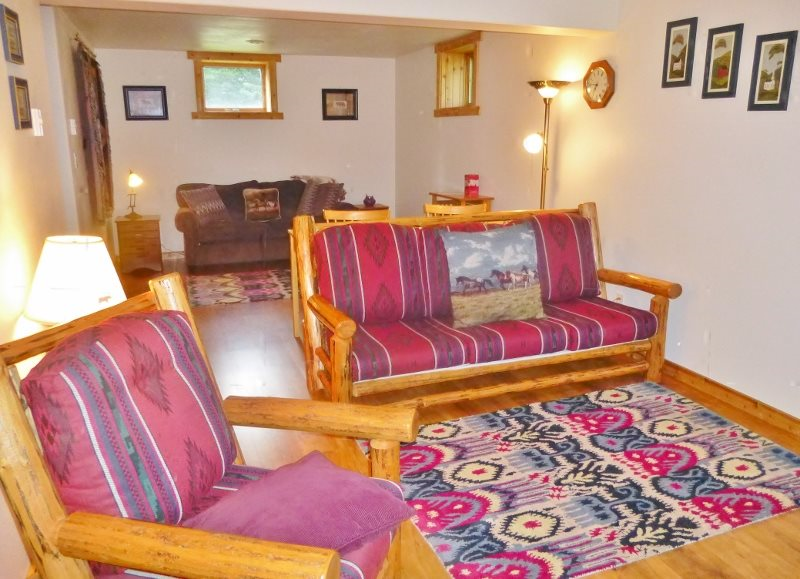 This wonderful home is located on three beautiful acres where deer wander through and wild turkeys frolic in the large meadow-like yard. 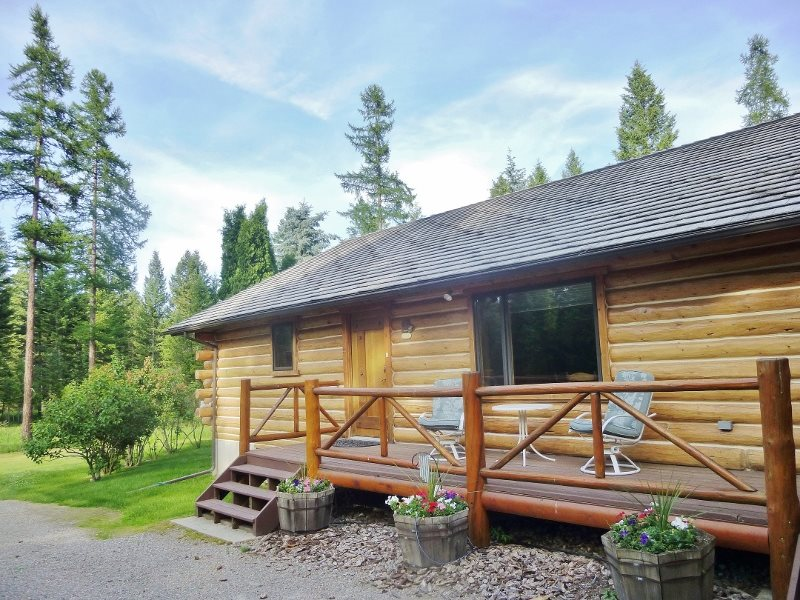 A perfect spot for nature, privacy, and isolation with civilization just a hop, skip, and jump away. 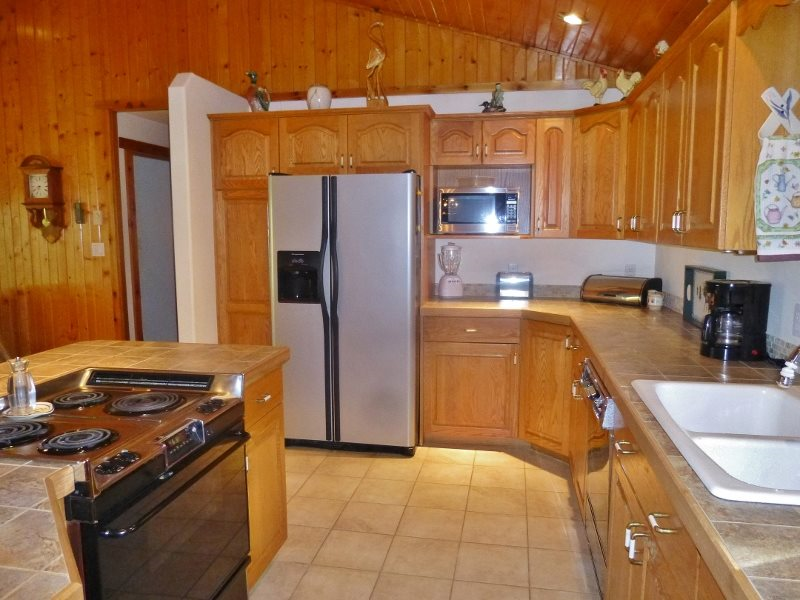 The main living area of the house has a great room feel with the kitchen opening into the living room and dining area. 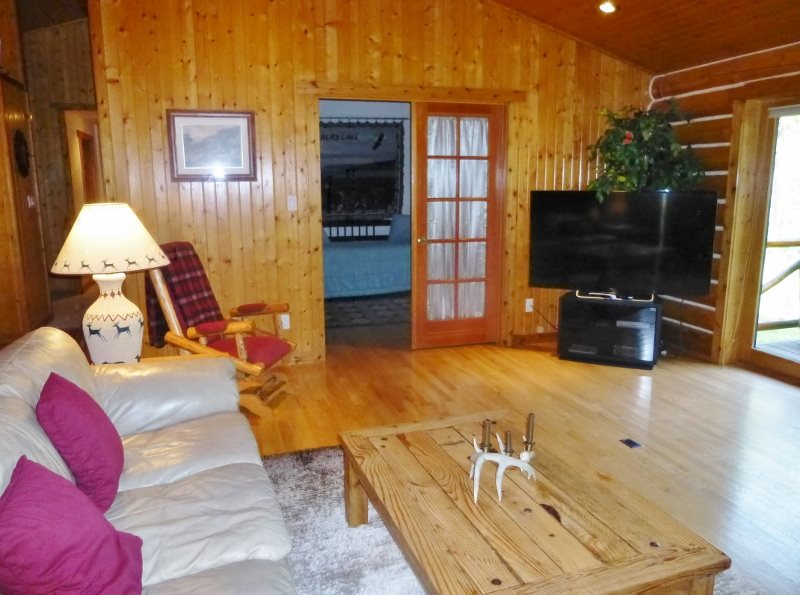 There is even a pellet stove to make the room even warmer and more cozy and a 60" smart TV for watching sports or your favorite show. 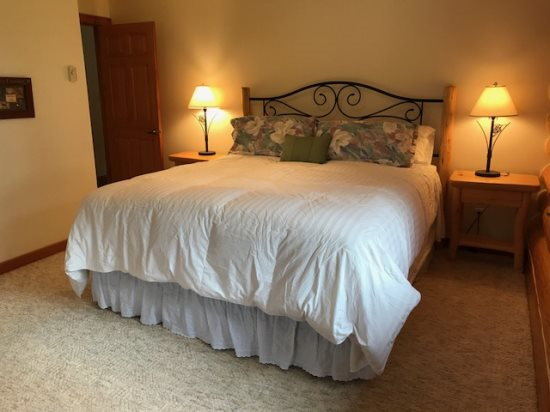 Also on this main level are a King master bedroom and private bathroom with shower, a queen guest bedroom with adjacent full bathroom, a private office with trundle bed (these two beds when lifted together form a king bed), as well as a full laundry room, pantry, and attached garage (for one car only). 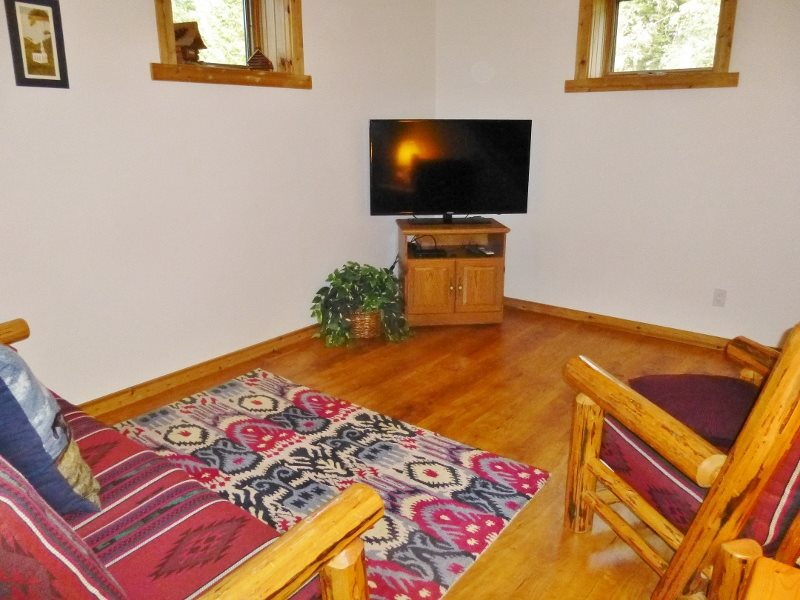 Downstairs, on brand new flooring, is a lovely family room with a full size sofa sleeper with memory foam top for additional sleeping space as well as another couch and chair for visiting or watching movies or shows on the 50" smart TV. 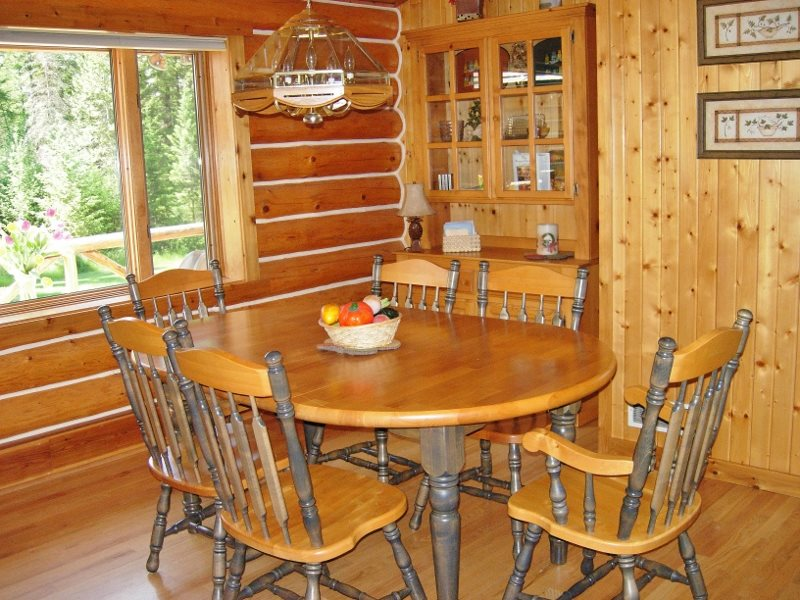 You’ll find games, puzzles, a DVD player and a table for playing games or writing postcards back home. 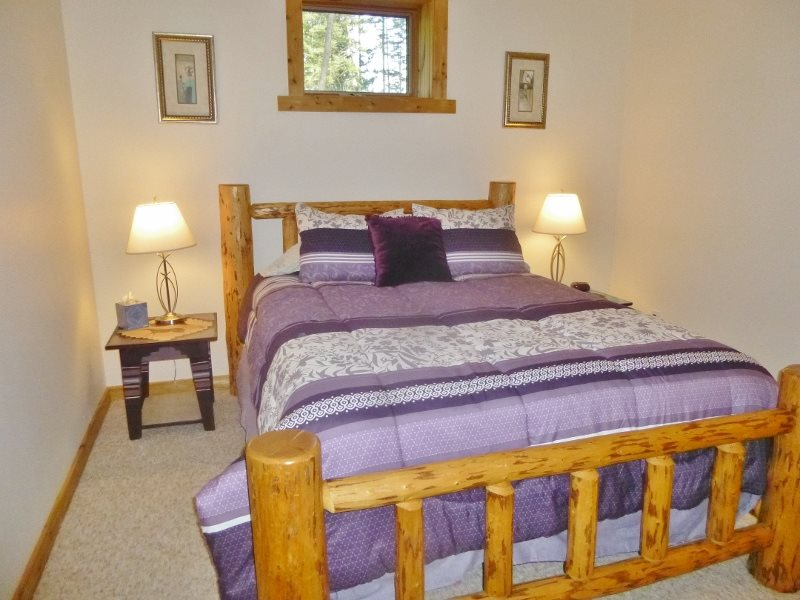 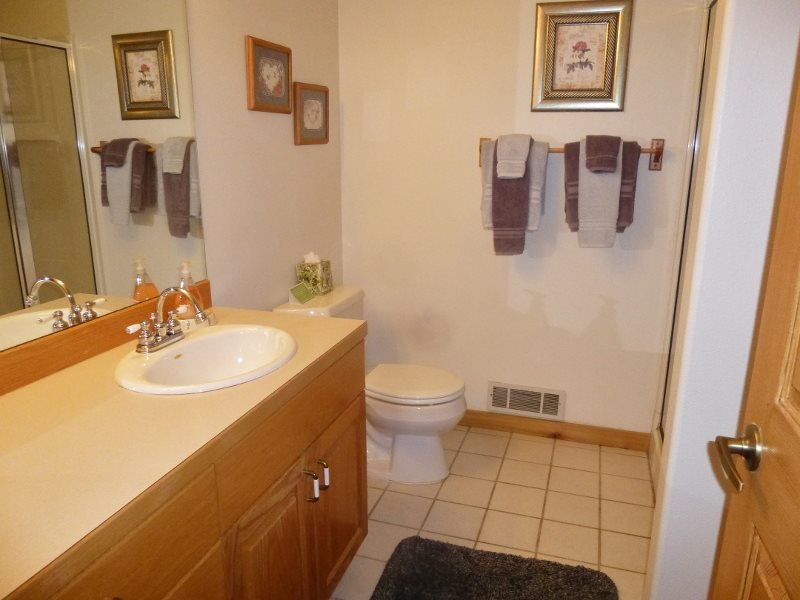 In this downstairs area, too, is the third separate bedroom (queen bed) and another full bathroom. 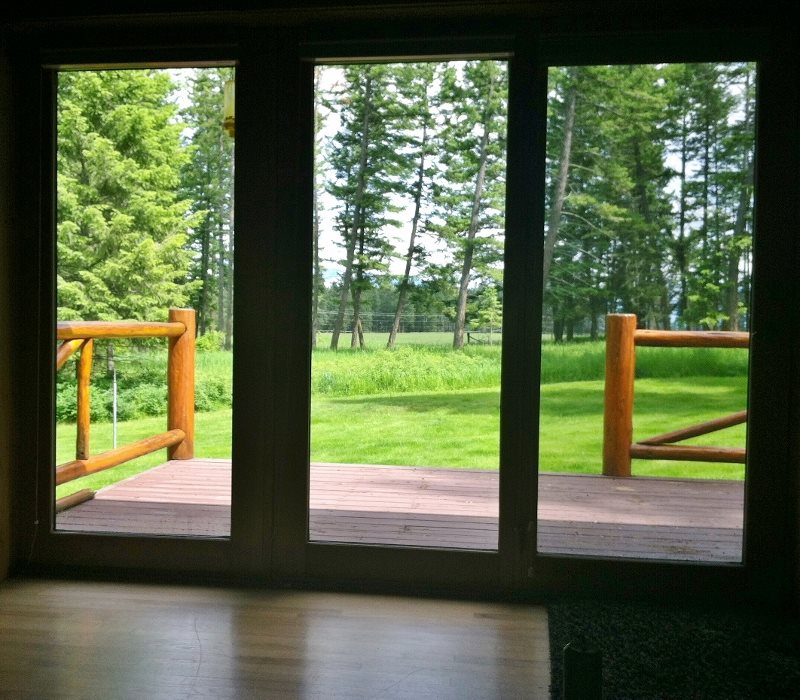 Outside, the back deck is the piece de la resistance. 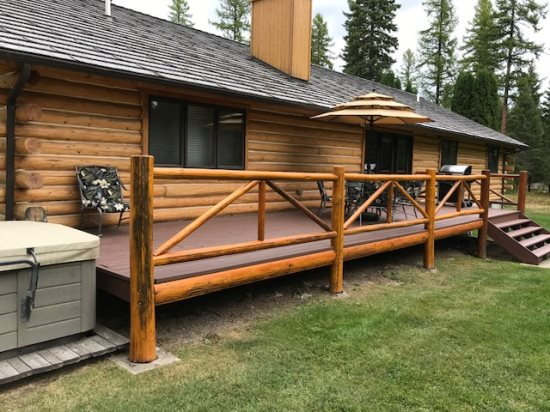 Overlooking the spacious meadow yard, you may barbecue on the deck while lounging in the comfortable patio chairs and serve it up on the glass patio table with central lazy susan. 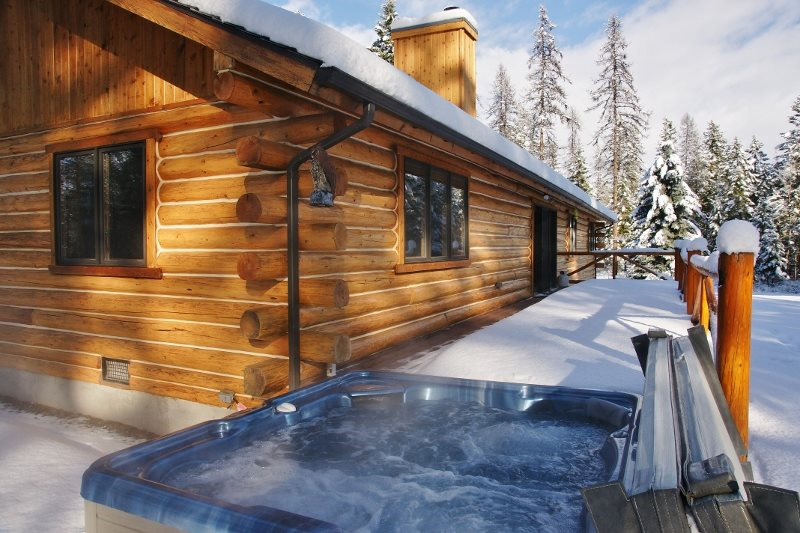 The six person hot tub in the quiet nature setting is a reason by itself for making The Jewel your home away from home. 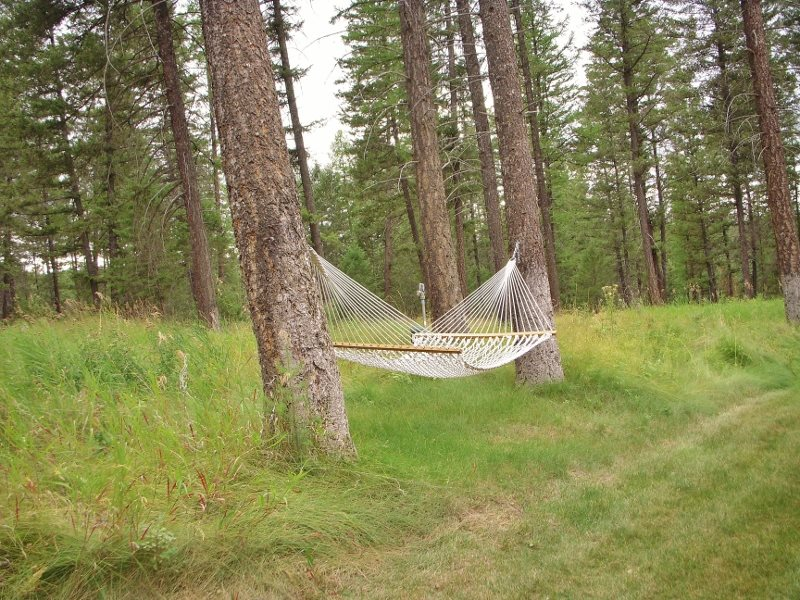 And for lazy afternoons, there's a comfy hammock in the yard. 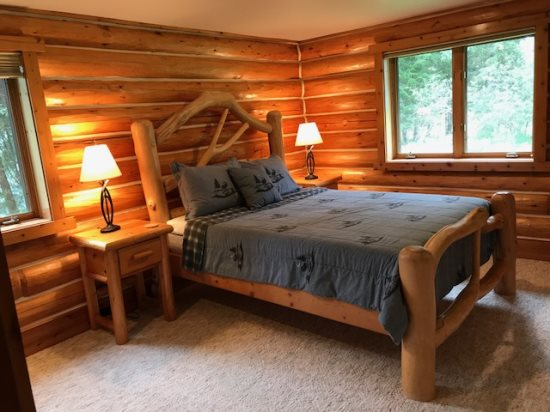 The Jewel is an all season destination from which you may recharge your batteries, explore all the wonders of northwest Montana, and make new memories with family and friends!